#ЯТЕБЯТОЖЕ (#So_Do_I) is a geotag-based street art project. 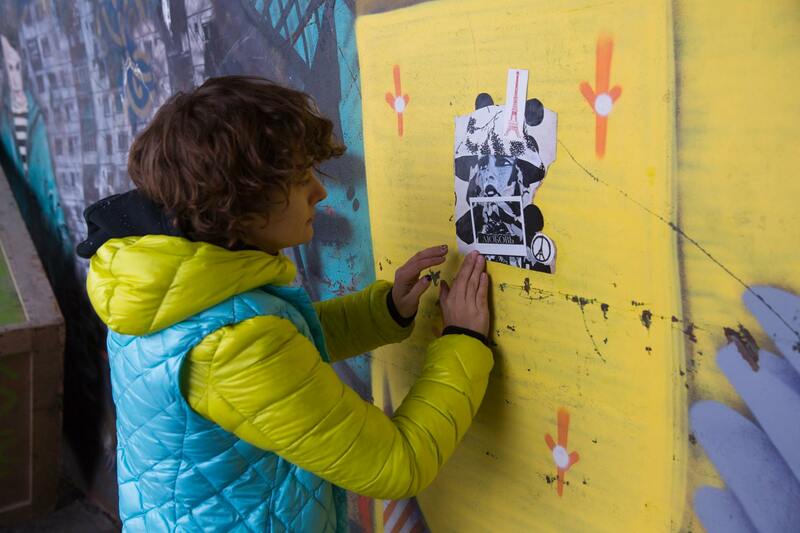 Each pin on Google Maps corresponds to a collage, pasted in a certain location in Moscow. Altogether, those pins/collages form a phrase in Russian, which translates into English as “so do I”. It is a universal response of the city to our own attitude towards itself. Whether we love Moscow or hate it, we get our feelings “mirrored” back to us. My ultimate goal is to make people reflect on how they invest their emotions and how their sentiments forms their lives on daily basis. The project comprises 115 collages each made around an Instax Wide film frame.